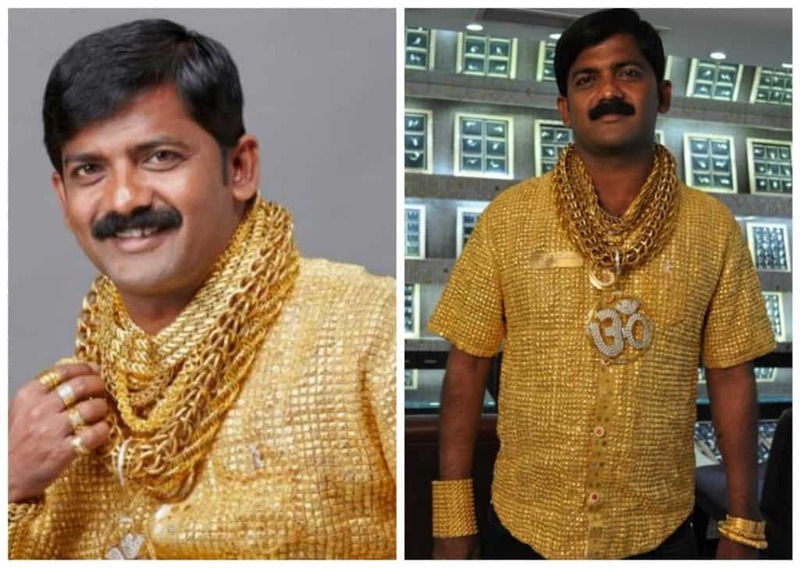 If you like comfortable clothing then we don’t think this gold shirt will do you any good. But, if you prefer style over comfort then say hello to this white velvet, 3.2-karat gold shirt with Swarovski crystal buttons. This fancy piece was commissioned by 32 year old Datta Phuge from India, and it only cost him 22,400 dollars. 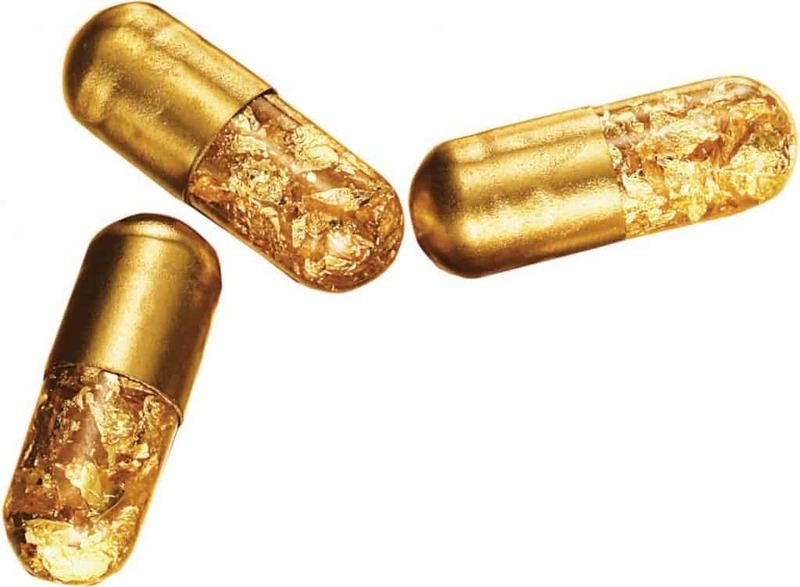 We have no idea if these pills cure anything, but these 24-Karat gold-dipped, gold-filled capsules were designed by Tobias Wong and J.A.R.K and are sold for $425 a pop. These completely edible pills are ideal for people who want to bling out their bowels. Do you absolutely hate the thought of doing housework? Well what if you had a gold vacuum to work with, would that make it better? 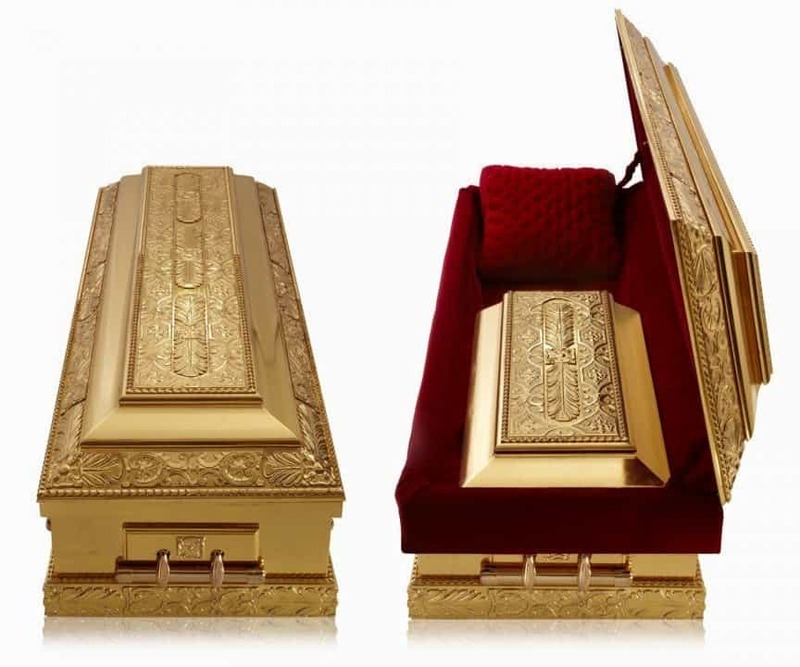 If you answered yes, then you’re actually in luck as this 24k gold vacuum is actually on sale for a mere $999,999 down from 1 million dollars. 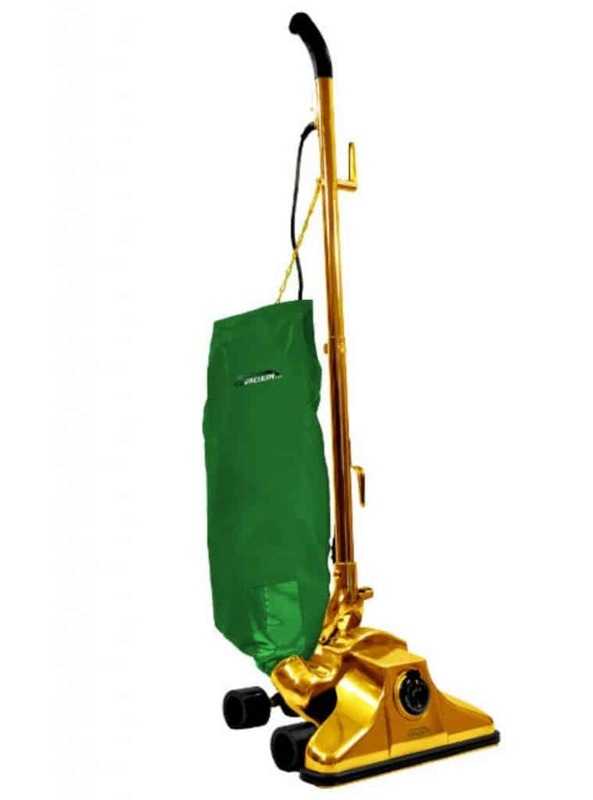 This nifty gadget, created by GoVacuum, has a 10 amp motor, a wide cleaning nozzle and anti-marring urethane wheels — oh and don’t forget its dazzling appearance. 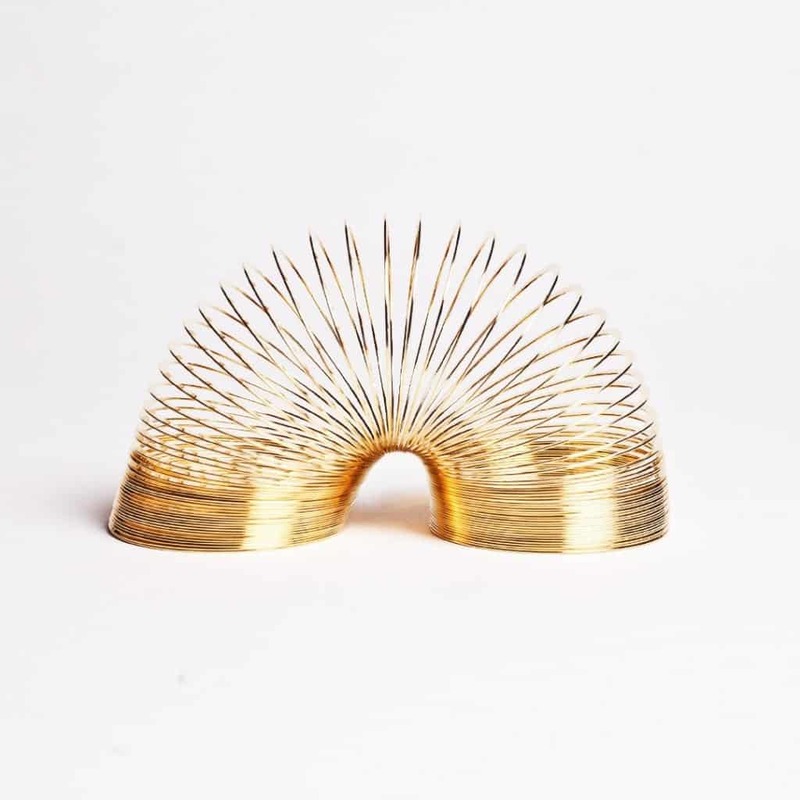 Playtime just got super expensive thanks to this 14-karat gold-plated slinky. A regular slinky might cost you a dollar or two but for this one you will need to shell out about $99. 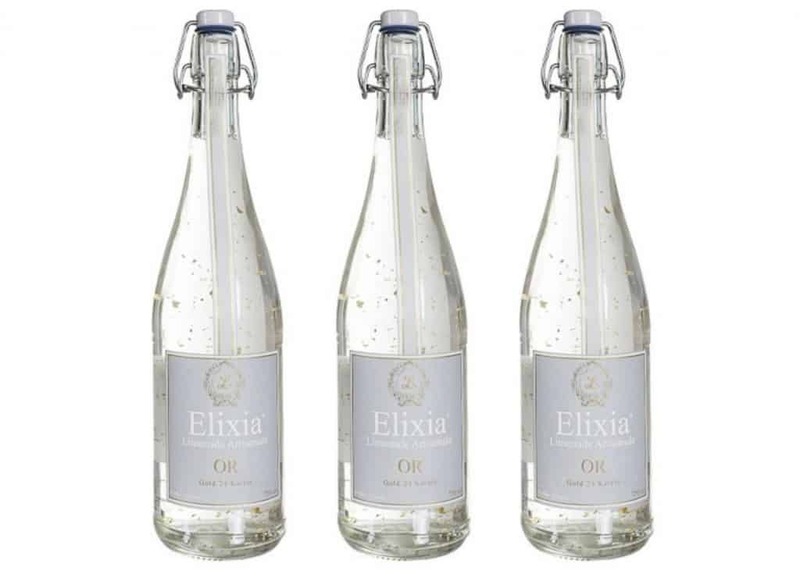 You definitely won’t get this for a dollar at the neighborhood kids’ lemonade stand; the Elixia lemonade is infused with 24k gold flakes. 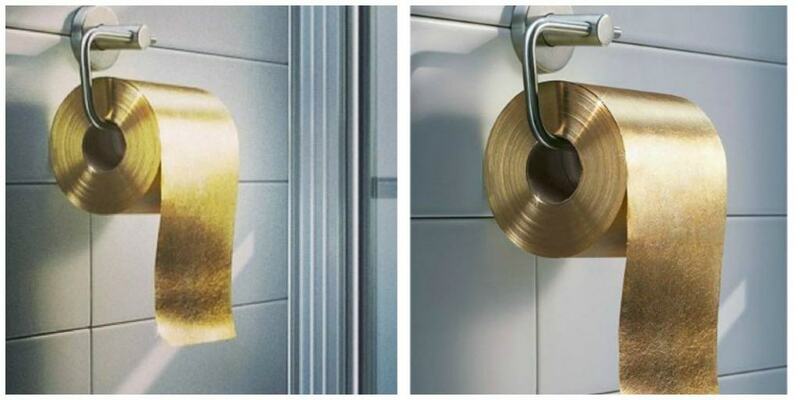 A company known as ‘Toilet Paper Man’ is actually selling a roll of 24K gold toilet paper for over 1.3 million dollars. It is the most expensive toilet roll in the world and is made in Australia. The toilet paper is 100 percent useable and safe. It comes gift-wrapped and is delivered personally with a bottle of Champagne. 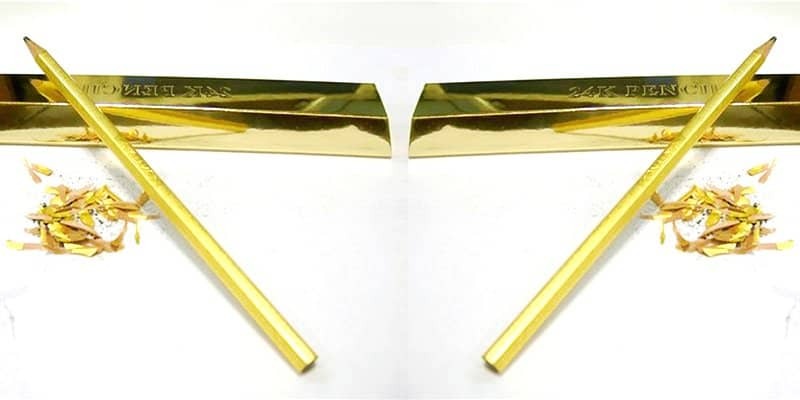 Korean designer Daisung Kim, was for some reason inspired to design gold pencils. 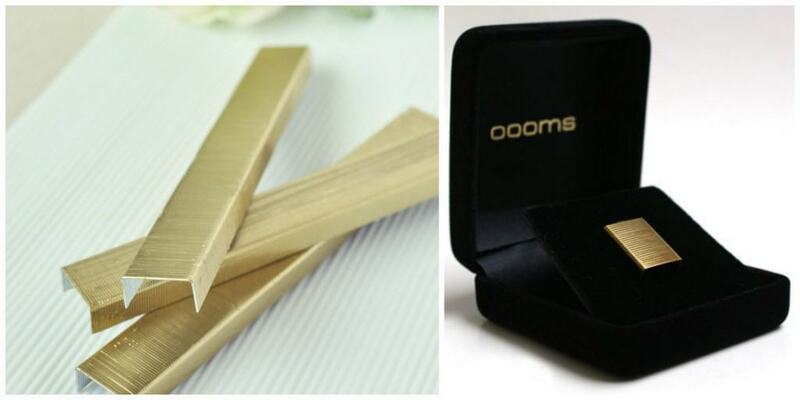 Each one is coated with a thin layer of 24k gold and is available at the surprisingly reasonable cost of $20. Hey if you believe in luck these might just come in handy during your next exam. 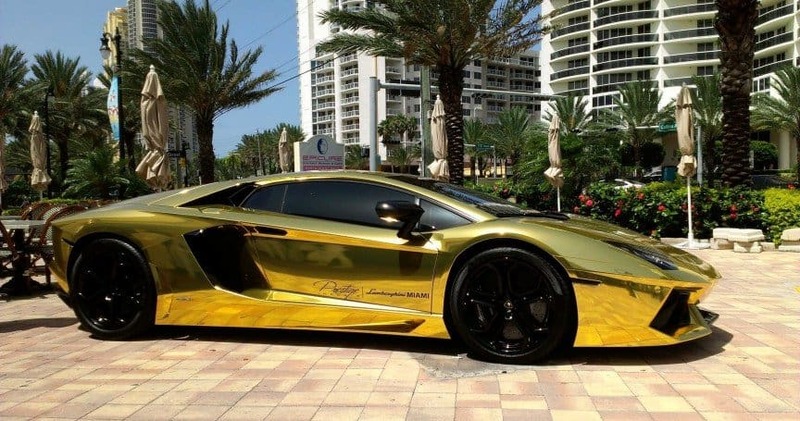 The world’s most expensive car, the Lamborghini Aventador is crafted from a 500kg solid block of gold and costs 7.5 million dollars to build. 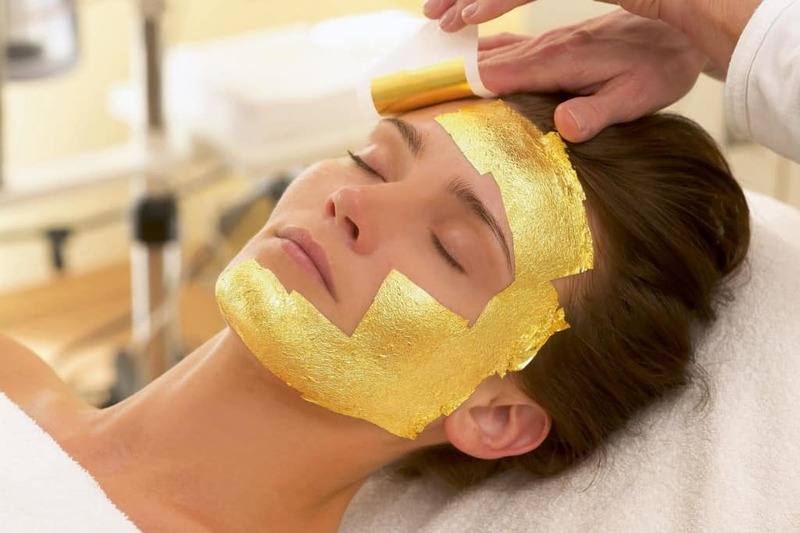 There is a reported 25 kilograms of gold within the final product. The Aventador boasts a V12 engine and a massive 700bhp; it has a seven-speed transmission, and reaches 100kmph in under 3 seconds. Do you know what would make me work harder and spend longer hours at the office? A solid gold computer. For $30,000 a company called ‘Computer Choppers’ can cover your favorite Apple gadget, whether its a laptop, cellphone or tablet in yellow, white and rose gold. How cool is that? Listen, if your boss is not impressed by these 14k gold plated staples when you turn in your next report, then just give up. For $210 you can own these cool office supplies created by Dutch design house, Oooms. Plus they won’t arrive in a plain cardboard box, these come in a velvet case with 24 pieces. Let’s just hope they work in your regular old stapler. 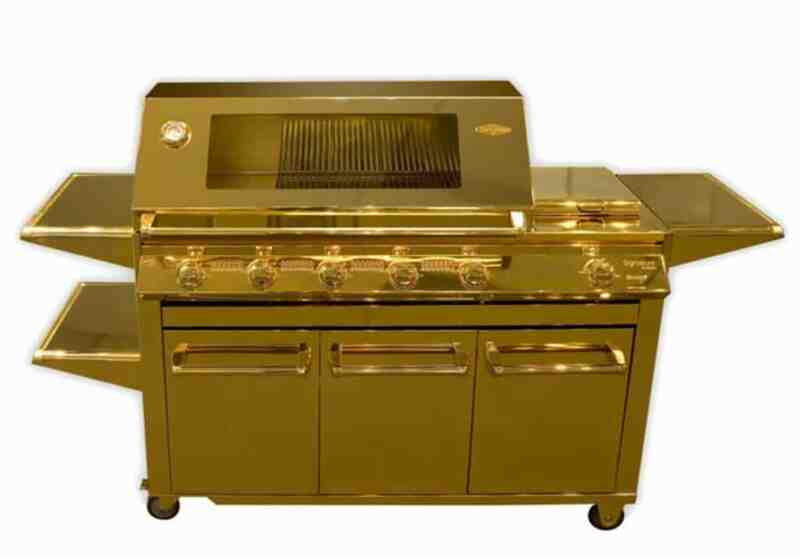 Every component of this fancy barbecue grill is plated with 24k gold. So if your friends didn’t know how rich you were, they’re bound to figure it out the next time you invite them over. So how much will it cost you to impress the neighbors with this gadget? Only $164,000. 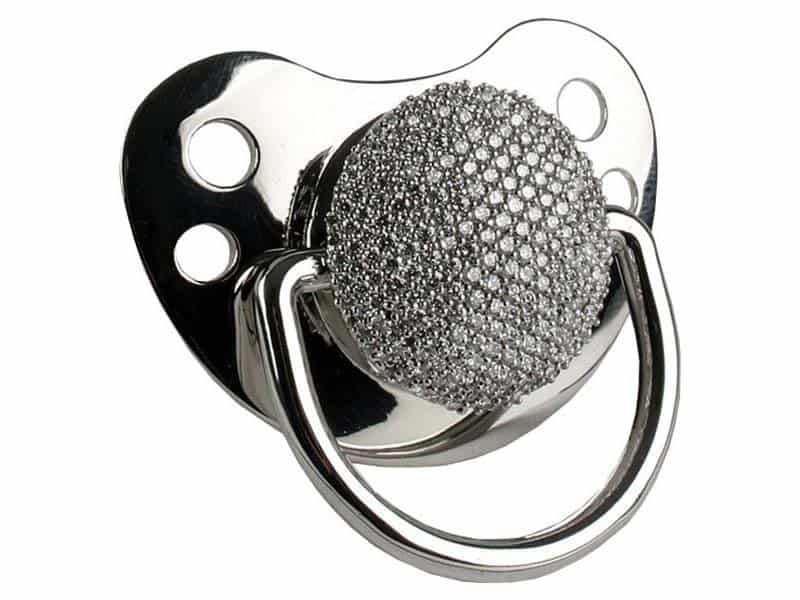 Bling out your newborn in this 14k white gold pacifier for only $17,000. Why would you spend that much money on a pacifier? Well if it helps, this European binky was given to Brad and Angelina when their daughter Shiloh was born. At a cost of $95 per 100g this is the most expensive cheese in the UK. 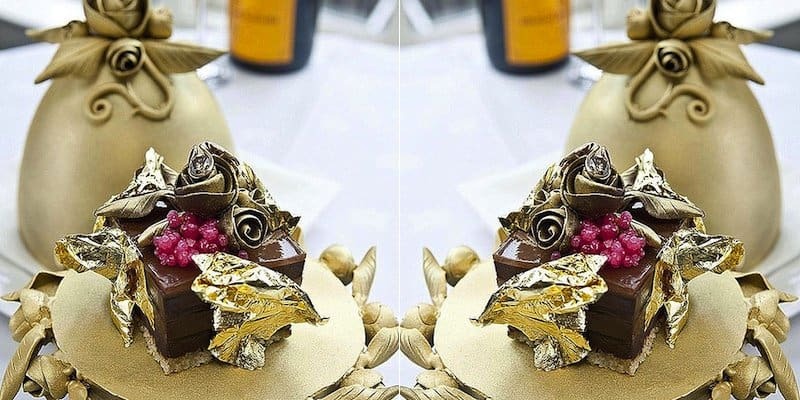 Created by Long Clawson Dairy in Leicestershire, it contains edible gold leaf and real gold liqueur and has acquired the nickname, “Britain’s blingiest cheese”. What kind of toy do you buy for your ‘golden child’? A gold tricycle of course. 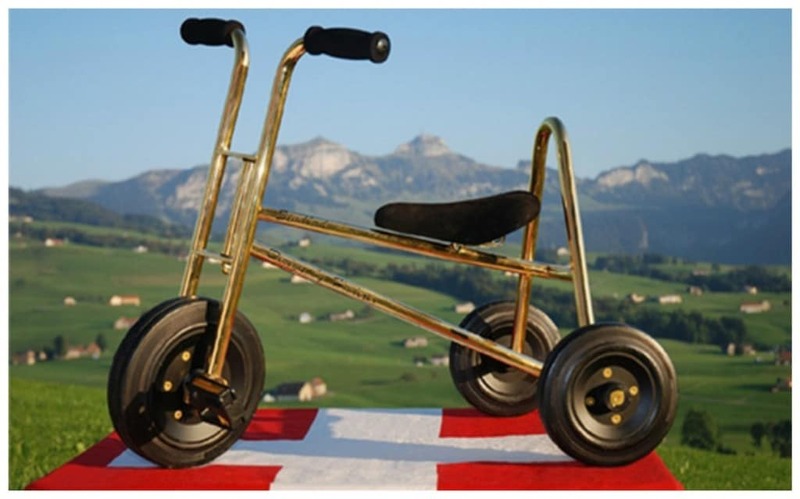 Keep your little tot occupied in this 24k gold-plated tricycle, with alcantara saddle and ball-bearing wheels. Manufactured by Wisa Gloria, this toy is intended for children 3-5 years of age. What’s scary is that the price is not listed, but is only available upon request. 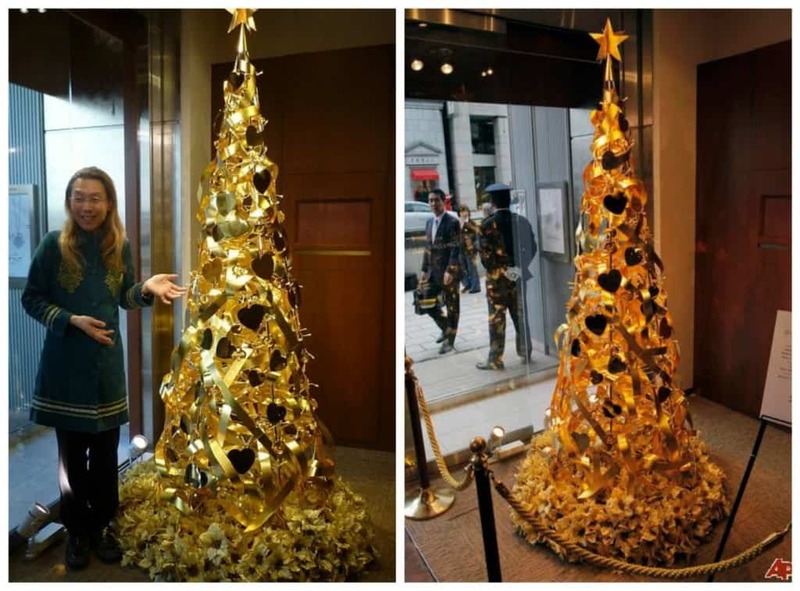 Made by Japanese jeweler Ginza Tanaka, this Christmas tree is valued at 2 million dollars. It is made from 26 pounds of the precious metal and decorated with about 100 ribbons, orchids and hearts, all made of gold. 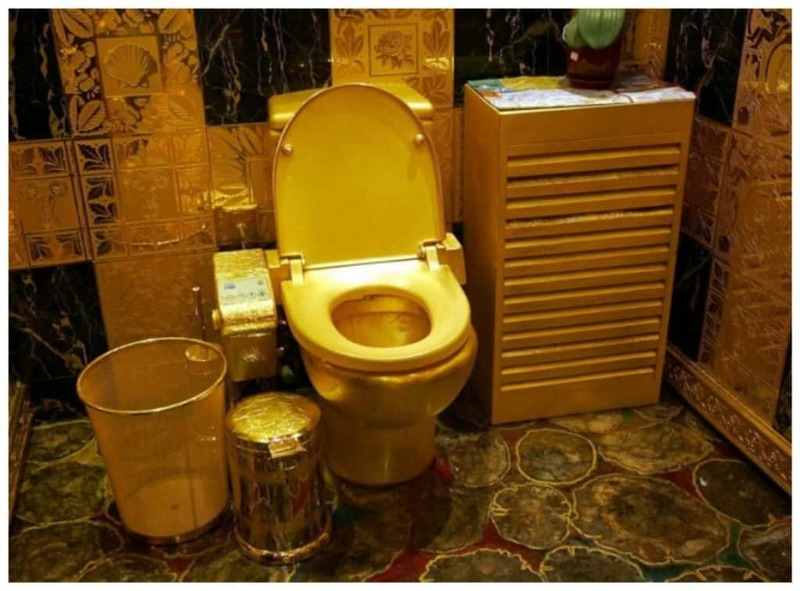 If you ever visit Hong Kong make sure you stop by the Hang Fung Gold Technology showroom and view their 900 pound, solid gold toilet. What’s even better is that for $128 dollars you can even use it. I mean how could you not feel like a king on this gold plated throne.